Simply fill with your dog’s favorite treats or dog food, and watch as he tackles the challenge of getting them out! 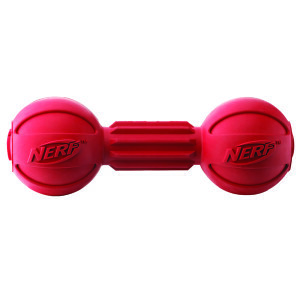 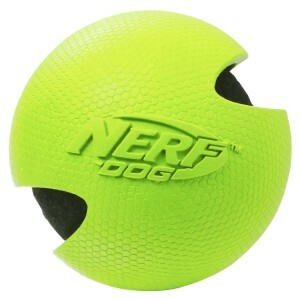 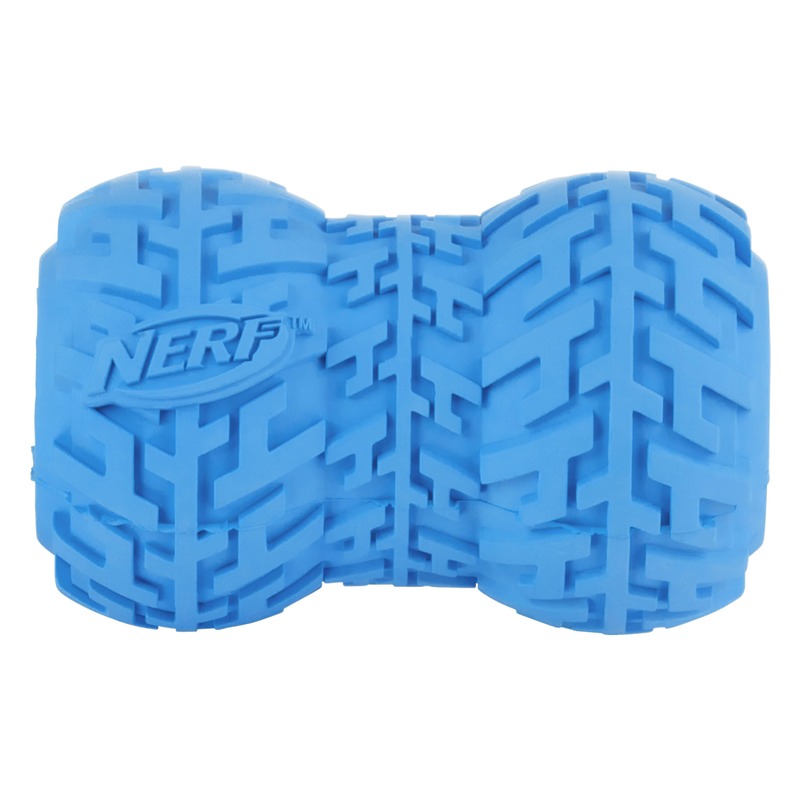 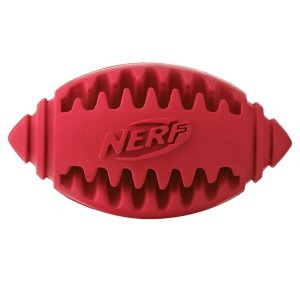 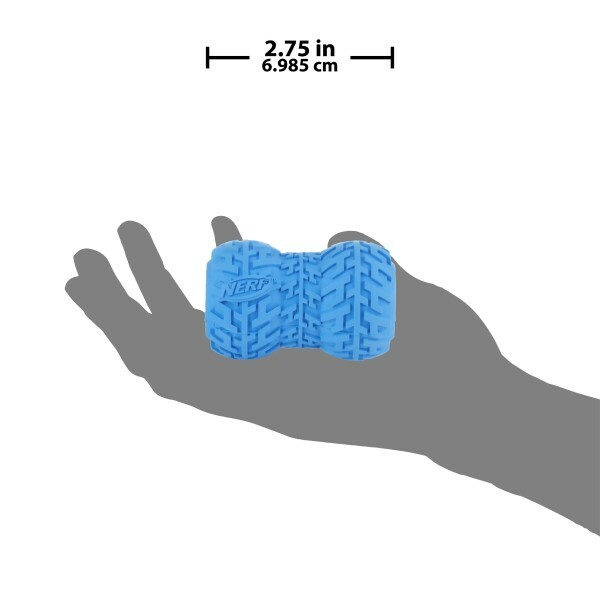 The NERF DOG 2.75″ small tire feeder is one molded piece of durable rubber, making it extra strong, so it’ll stand up to extended chewing. 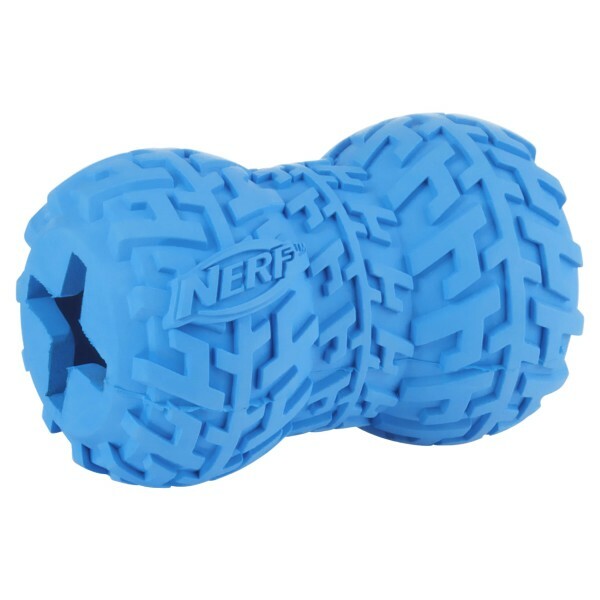 Textured ridges make it great for toss and fetch, too! 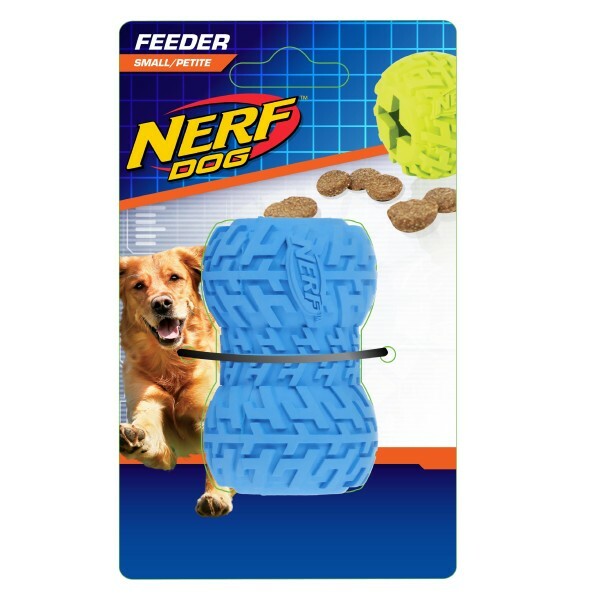 Recommended for small to medium dogs.